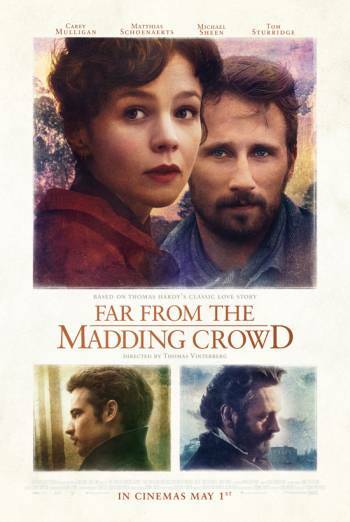 Summary FAR FROM THE MADDING CROWD is a period drama, adapted from the novel by Thomas Hardy, about an independent young woman who must choose between three suitors. A scene shows two men boxing, with blood on their faces. A character is shot. A character places his hand on a woman's inner thigh as he kisses her. Another scene shows a couple in bed together: a man lies on top of a woman and asks her if she is "ready"; she nods. There is brief sight of a dead woman and her newborn baby in a coffin.